Ministers have been warned of a potential "humanitarian crisis" in Northern Ireland's health service. Former UUP leader Lord Empey said there were 280,000 people waiting for a consultant-led first appointment. 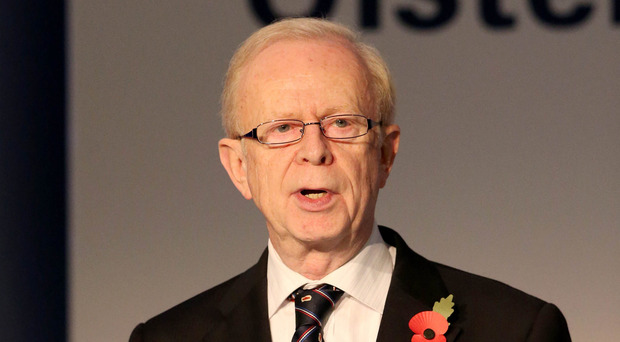 Lord Empey called on the Government to bring powers back temporarily to Westminster on "humanitarian grounds" to "offset what could be a potential humanitarian crisis in the winter". The Government had an "over-arching responsibility" to the people of Northern Ireland and could not "keep hiding behind the fact that there is no movement between the parties". His question came after recent protest rallies in Northern Ireland over the failure of Assembly members at Stormont to patch up their differences and get back to work. He said the Government's most important priority remained an Executive at Stormont. For Labour, former Northern Ireland secretary Lord Murphy of Torfaen said it was time for fresh thinking. He urged the Prime Minister to get involved and called for intensive all-party talks and possibly the use of an independent chairman.